Airborne Trampoline World in Newmarket is busy preparing for their amazing Summer Trampoline Day Camp program which starts July 3rd, 2017 and runs all summer long. 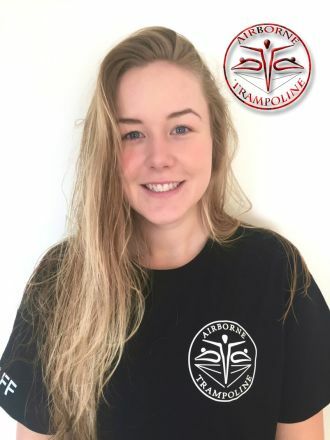 In preparation for the kickoff of summer camp, Airborne would like to introduce our FANTASTIC head counselor who will be leading Airborne Trampoline Newmarket's camp, and ensuring all of our campers have an safe, exciting time at Airborne Trampoline Day Camp. Carly E. is the NEW head counselor of Airborne Trampoline World in Newmarket. Carly has had extensive experience working with children of all ages in both a camp and classroom setting for the past 5 years. Carly has completed her First Aid/CPR certifications, food handling certification, and has had extensive training working with special needs children. Carly is excited to create a fun and safe environment for all of Airborne's campers during the 2017 Summer Trampoline Camp. Outside of Airborne, Carly is working towards achieving a degree and diploma in journalism while minoring in women and gender studies at the University of Toronto. Carly was introduced as the new Head Counselor in January 2017. She successfully hosted Airborne's extremely popular March Break Trampoline Camp, and has perfected her programming, planning, and team leadership to make Airborne's Summer Trampoline Camp better than ever! Carly and the rest of the Airborne Trampoline Camp team (Steve, Laurena, Victoria, Jay, and Julia) have a fun filled summer planned and hope to see you all at Airborne's Summer Trampoline Camp 2017! Check out more information on Airborne Trampoline NEWMARKET Summer Day Camp HERE. Check out more information on Airborne Trampoline WOODBRIDGE Summer Day Camp HERE.